I follow via gfc as nail crazy, email is nailcrazy69@gmail.com. In future I would like to see more comparasion of nail polishes. I follow you as Orlica. Hi, I'm following through gfc - shazzii. I'd love to see more nail art, I'm too much of a fanatic to not mention that :P. I'd also like to see other polish brands that are available in the US besides the popular ones like China Glaze and OPI, I love expanding my polish collection not only colour-wise, but brand-wise too. Your on my blogroll already! And I love what your doing anyway so no real suggestions! enter me please, i am already a follower. my gfc name is alice.left, my email is alice.left at gmail dot com. I really love your swatches, your nail art!! and all the things you share with us. i'm always messy when doing patterns on my nails, so some tutorials would help, also some comparisons between shades of colours from different brands and ofc as many kitten photos as you can come up with! thx for the chance to win! I'd like to see more comparisons (i find them very useful) and nail arts! I'd like to see some Chanel nailpolish swatches! I'm following through GFC as Olivia. -i love to see more nail art!!beautiful! 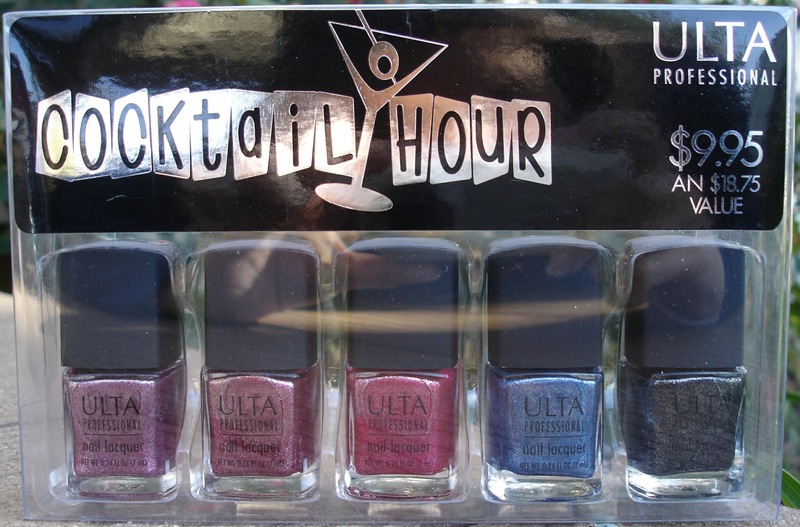 I love to see comparisons and dupes, but also I love to learn about different less well known brand nail polishes. Hi! I'm following you as Cheryl on GFC, my email's cherylcherylcheryl at gmail dot com. I would love to see more nail art, I think comparisons are useful but since I don't have many famous brands in Singapore, they're not that relevant to me, so more nail art please! Konads or hand-drawn, I don't care, I love them all! I'm following you on twitter, my twitter name is @SweetLii. Please enter my name. I can't wait to read your next post, Have good night!! Nicky above is my entry. 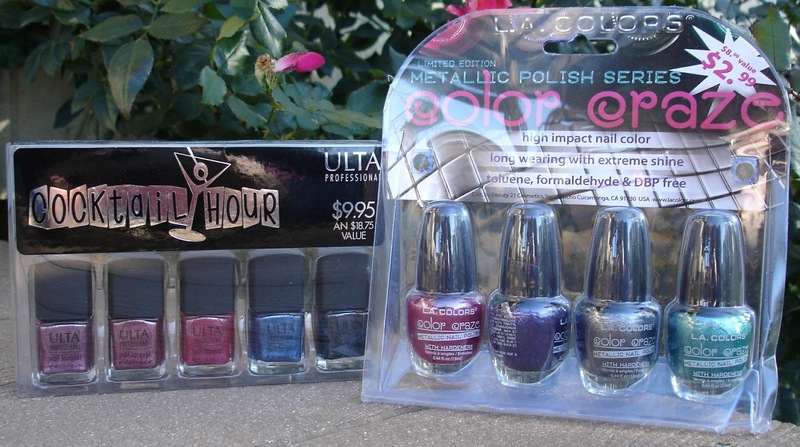 hey :) those are really cute polishes, count me in! I've only been following you for a few days but I've gone through the majority of your blog and I love your swatches and the konad stamping. I would love to see more of the konad stamps. Enter me please :) I'm Bec and I follow via GFC. I would love to see your nailpolish matched with jewellery and other accessories, this is just a strange thing I always like to do and I would love some inspiration! I'm a follower with GFC with the name susies1955. I have you on my blog roll on the right side of my blog. I would like to see more step by step tutorials and konad stamping nail art, especially those lace / french designs pls! 1. I am a follower via GFC as Anastasia. 4. I would like to see more nail art tutorials. +1 Following Polishology on Twitter! I follow through GFC as Michelle. I've included this on my giveaway page (with picture) and added you to my blogroll. As for what I'd like to see more/less of, I think you're already doing great but I'd love more polish comparisons. I follow on GFC as Jamie K.
i follow on twitter as _waxlyrical. Hello thanks for the great giveaway!! I'm a follower via google friends connect - nick is Nero. 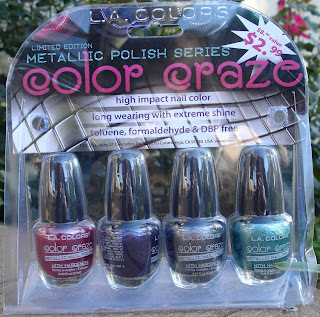 for 3 extra entries: what i'd love to see in this blog.. china glaze and ORLY polishes!! I am following you via google (mare). my mail is isollea at gmail dot com. great giveaway! Hi, I just wandered into this blog today and immediately fell in love with the gorgeous cat you have in your header! From reading a little bit, I take it that's Leo? He looks lovely! I'm now following you via gfc as Van Vanity (mylittlevanities@yahoo.com). I follow you via GFC as *Fleur* and my email is fleurs dot nails at gmail dot com. I also follow you on Twitter as Fleurs_Nails. as for suggestions, I was just browsing your blog, and I see nail art but not really tutorials on how to do it, which would be nice to see. Cats are adorable and always welcome for a good measure. 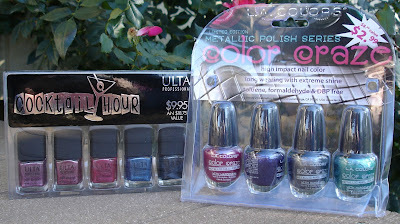 & more China Glaze/Sally Hansen! My GFC name: Marta N.
I'm always intrested in nail art, swatches, comparisons and reviews! +3 I would love to see you do more nail art! Blogged about this giveaway in a post with a photo! I think nail art can be tacky or it can be gorgeous. At what point do you think it gets tacky? Is it a certain style, certain colours or the nail itself??? I love my nails but sometimes I think it might be too much or maybeeee it's not enough. I have no idea! I'm a blog folloer. Melody Johnson. I'd like to see some tutorials too. I also love to see regular swatches, so I can decide if I need to have some polish or not..
Personnellement je ne trouve pas grand chose à rajouter sur ton blog. J'adore tout particulièrement tes photos de Konad car cela permet de voir à quoi ressemble les dessins sur les plaques. I would love to see more nail art and more comparisons, aswell as tips for storage and would love to see your storage. Merci pour ce giveaway !!! 1. I follow on GFC via Twitter. "Deanna G."
2. I follow you on Twitter as "calidreamin87"